As an instute we understand the importance of sharing. 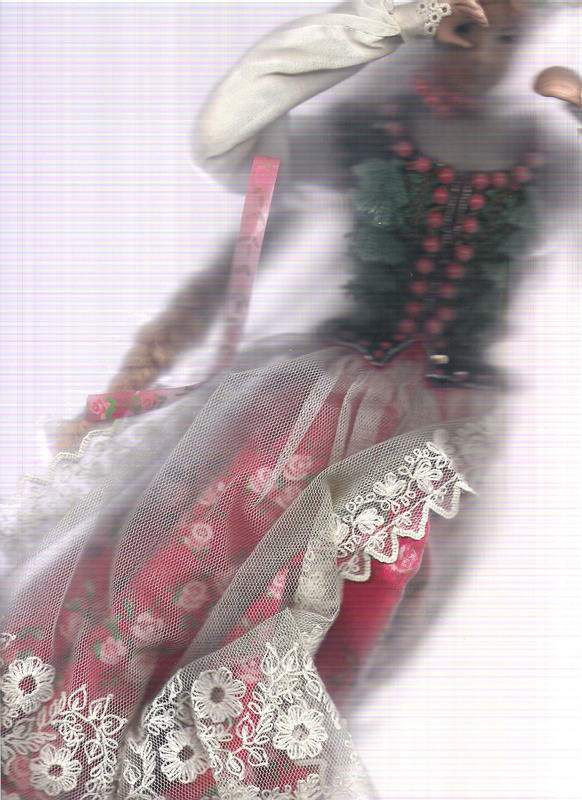 Hence Ambassador Schep has taken on the task of digitalising IOOTCP’s wonderous collection of Polishness. One day all of our objects shall be open source! Our first object: a female. Though the website may have been quiet, 2015 is proving itself to be a fruitfull year for IOOTCP. We hope for you too. We’re putting up a foundation, an offcial step in order to spread our unofficial ways even further throughout the world. Ambassador Schep got admitted to a 2-years Mastersprogramme called DasArts, where her unofficial thoughts will be deepened. 7&8: IOOTCP researches the Slavic Department of the University of Amsterdam. 26th: togheter with the Slavic Department IOOTCP presents her findings at the University. 31th: Cultural Night on the subject of THE HUMAN at Ostadetheater, Amsterdam. 29th: GIANT summerparty, celebrating the Foundation and DasArts. With fundraising-fun! We’re looking forward to seeing you again!! 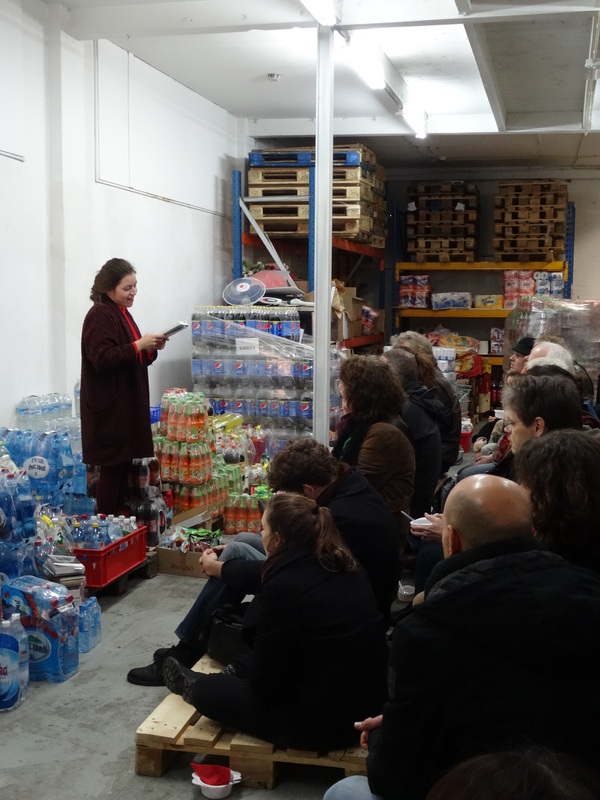 After 3 sold-out Cultural Afternoons at Polish Supermarket Costa, IOOTCP will pop up again this week! 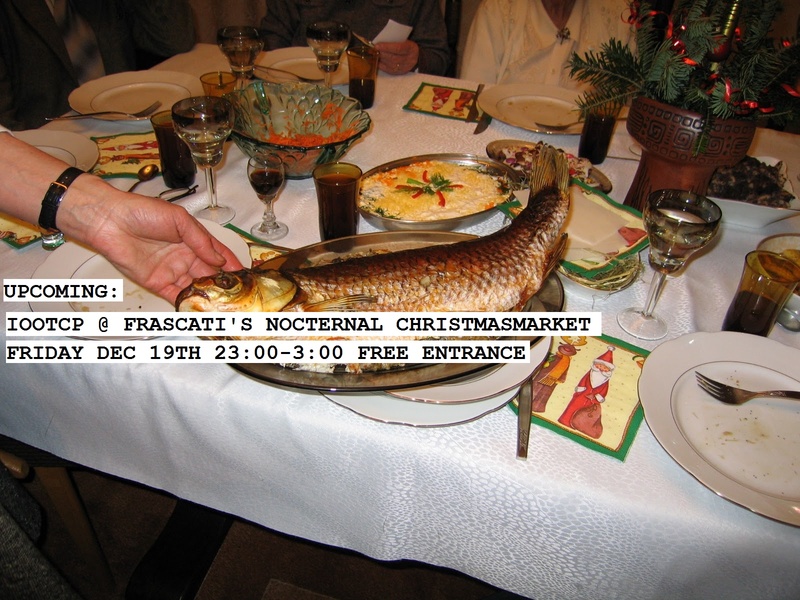 Come by for inspiration and wodka at Theater Frascati’s nocternal christmasmarket. between 11:00P.M. 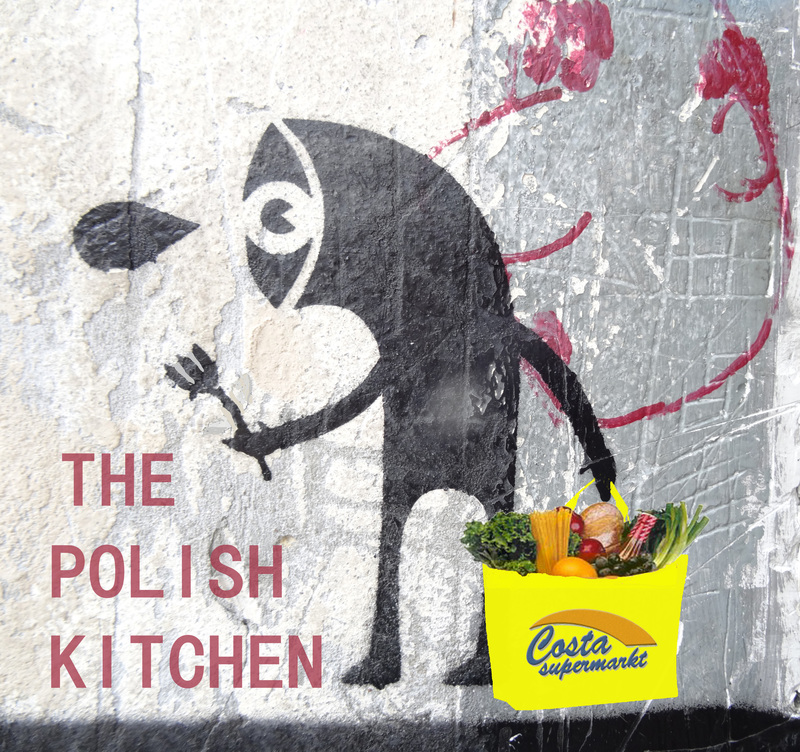 – 3:00 A.M.
IOOTCP cordially invites you to join us on one of our 3 cultural afternoons at Polish Supermarket Costa. Theme is The Polish Kitchen. Our ambassadors will make Polish food and literature meet. Polish Supermarket Costa, Meeuwenlaan 102. 1021JL Amsterdam. The afternoons are part of Winters Binnen Festival. An inspirational cultural festival throughout the north of Amsterdam. Tickets for The Polish Kitchen cost €4,-. 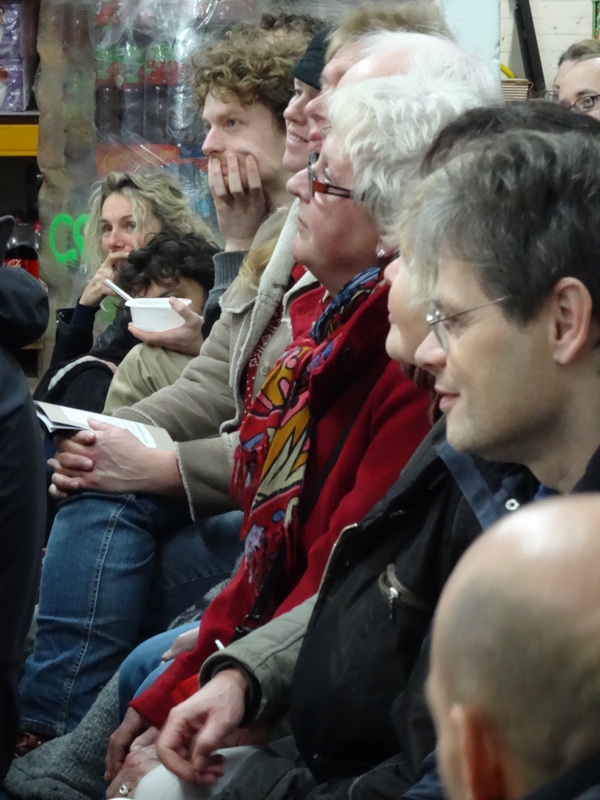 Check out www.wintersbinnen.nl for the whole programme and to reserve your tickets. There’s a Polish-Dutch saying, stating that the body can travel by different means of transport, but the soul prefers the horse. Well, if this is so, then Ambassador Schep’s soul must have been travelling on a crippled, asthmatic pony with a bad sense of direction in order to get back to Amsterdam. Yes, getting used to west-Olandian life has been quite the challenge after these ten days of institutional information, dwarfs, Tartar, bodily expressions, art, Polish language, piwo, unreadable faces and bearded men. We could say Wrocław was brilliant yet confusing. From reading his own writings and watching his interviews at the Grotowski Institute, our ambassador thought this was going to be an easy one. Grotowski was an excellent writer and speaker, so what could go wrong? Well, in many video’s there was nothing to see, but people behaving asif they where seriously mentally impaired. What on earth did this have to do with him writing about getting back to the essence of theatre? What was happening here? It was only after watching Ryszard Cieślak teaching two youngsters for two hours that it came to notice that Grotowski’s work wasn’t about moving in an unconventional style, but that these people were looking for ways to un-block their bodies. 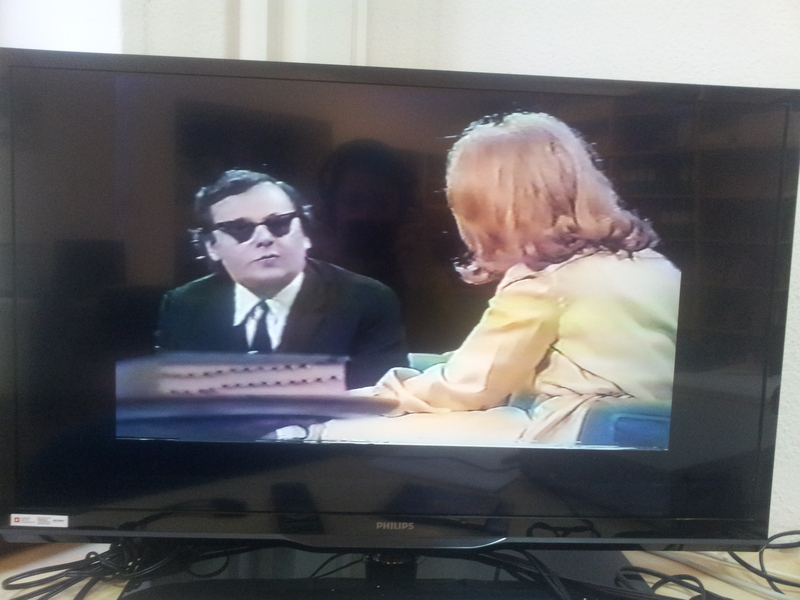 Mr. Grotowski having a talk with Margaret Croydon in 1969. Without getting too theoretical IOOTCP would like to take the time here to get into this a bit further. Grotowski considered the body to have a memory. Not just a kinetic one as in still knowing how to ride the bike after decades of walking, but also a memory of pain, illness, of expressions, love, excitement and relating to spaces. Through training the actors would create the freedom for their bodies to express these personal and yet universal feelings and memories. These would be recognosed by the audience, because they have had similar bodily experiences in their lives. And this would get the audience touch with a deeper sense of what life is about. 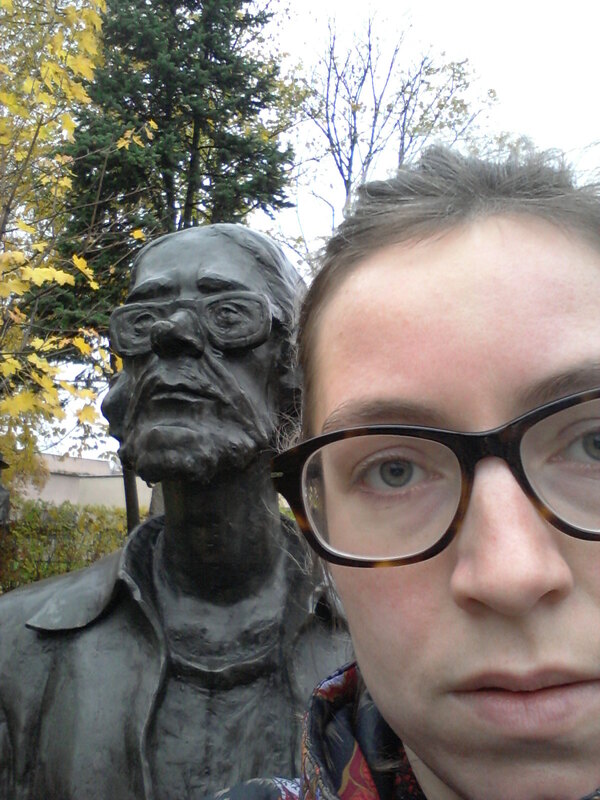 Here’s a picture of our ambassador with the ‘artistically challenging’ statue of Mr. Grotowski in Opole. On the day of her arrival, Ambassador Schep received an e-mail by Mr. Dürer in reaction to the mailart-project last september. It was already the next day that they sat down on top of a round museum, filled with contemporary art. Togheter they discussed art, mail art, music, travelling, tea and life. It was absolutely inspirational. 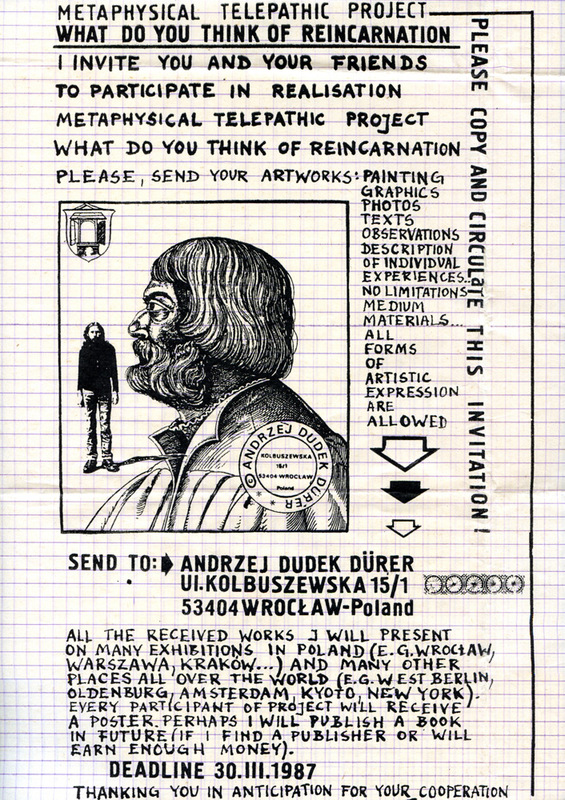 And it turned out Mr. Dürer actually used to know Mr. Grotowski and Mr.Cieślak at the time. In front of art, our Ambassador and Mr. Dürer made a selfy/ussie/we-y. To hopefully be continued..
Now Ambassador Schep will proceed to stand on the lookout for her soul-on-pony. If you happen see them passing by, please direct them to the city of Amsterdam. This monday a delegation of our institute will fly out to Wrocław for a 10-day exchange with Institut im. Jerzego Grotowskiego a.k.a. The Grotowski Institute*. The gatekeepers of Grotowski’s legacy will help our ambassadors to get an insight in the mysterious ways of this theatre-legend. The what, why and how.. IOOTCP will tell you all about it in february 2015. To get you in the mood: here’s a clip of Grotowski’s most famous work: The Constant Prince. It was based on ‘El príncipe constante’ by Spanish playwright Calderon de la Barca. Ryszard Cieślak is playing a tormented prince, who’d will not have the city of Ceuta taken over by the Moors. 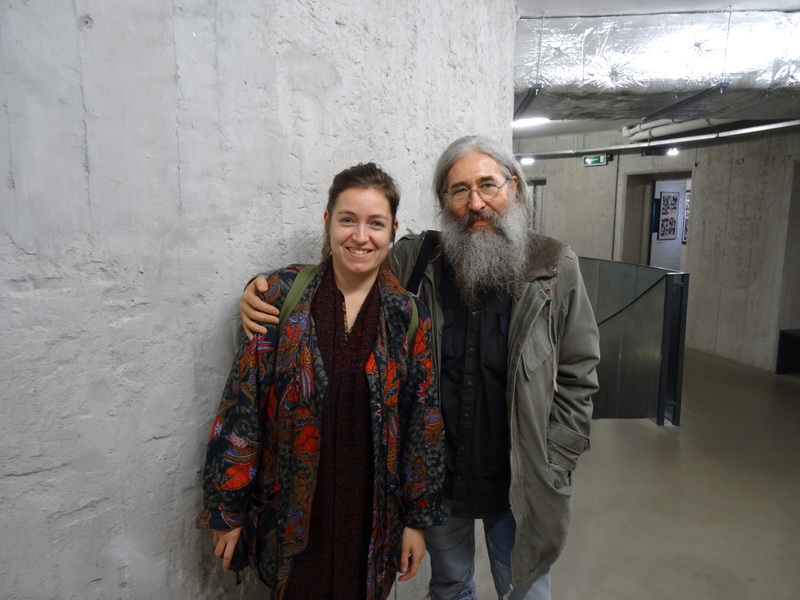 You can find a video of Cieślak teaching a typical Grotowski-technique to youngsters at our post from september 4th 2013. Wrocław is not just the city of Grotowski. During the 240 hours of presence in Polands 4th biggest city, at least 4 of them will be spend on paying a visit to Mr. Andrzej Dudek-Dürer’s secret atelier. 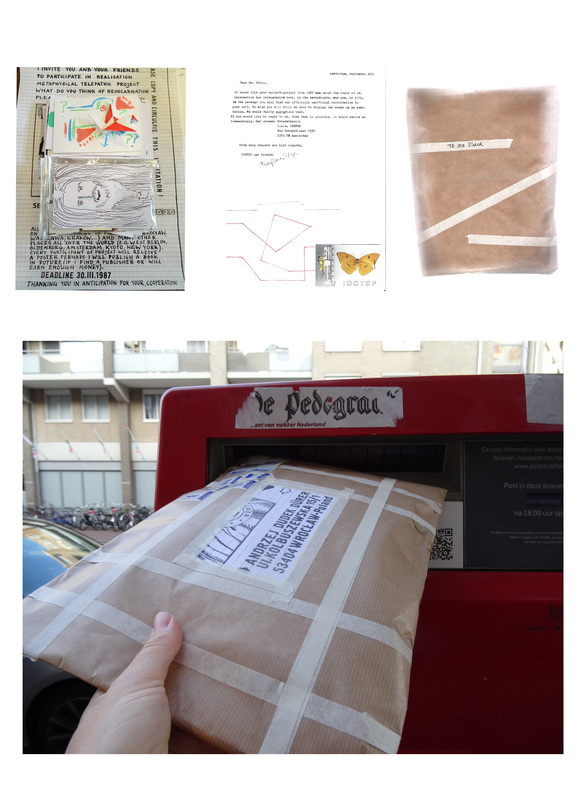 We will ask him about his response to our mailart-project**. Did he receive our package? Have we added to his views on reincarnation? What is he working on right now? Could he show us mail-art from others that replied to his question? We’re going to find out! ** Remember? September? 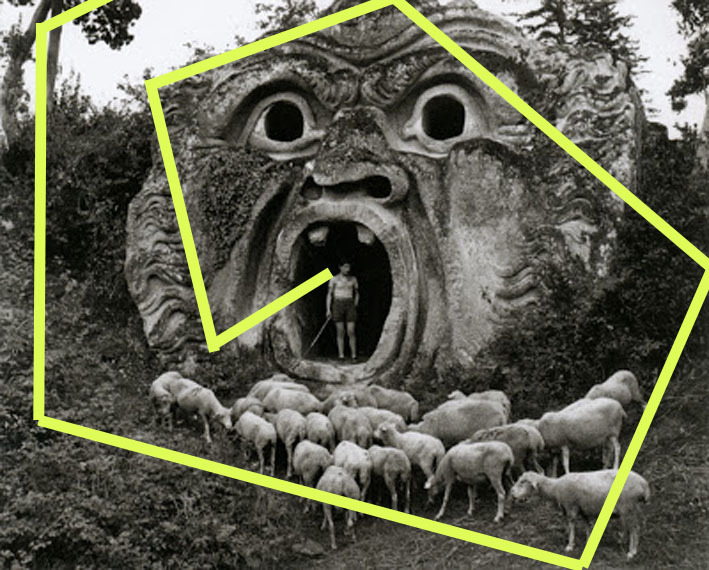 We where at Ostadetheater creating upmost intriguing postcards round the subject of reïncarnation. It’s in the post below. Dear friend of IOOTCP. We feel like going on an adventure. With you! Let’s go forth and sail the seas of knowledge, tame the winds of confusion. 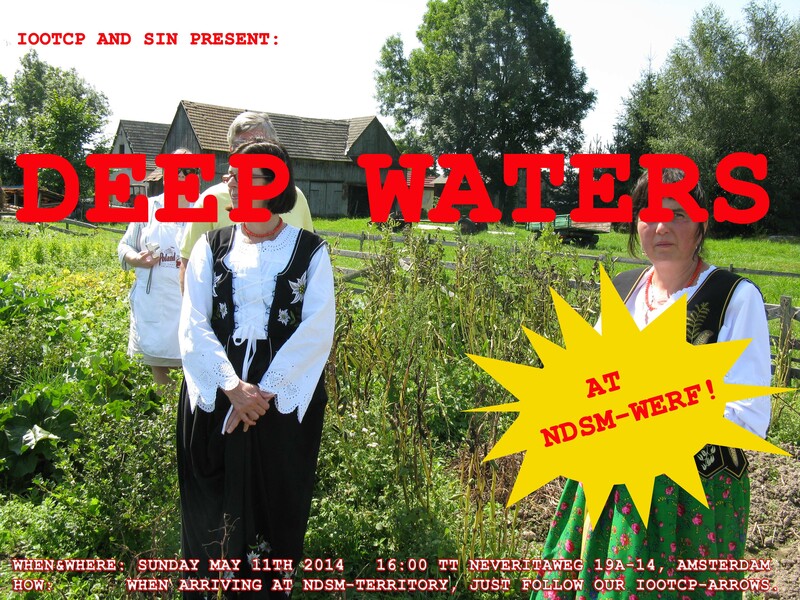 Let us dive into the waters of wodka, and grasp for the air of art! Yes. Let’s meet up at the most beautiful space known in the west. Our portal to middle-Europe. A pearl in the oyster called NDSM. A precious piece of beauty, build by the hands of one man. A man called Pieter. Let’s meet him, let’s love this place. 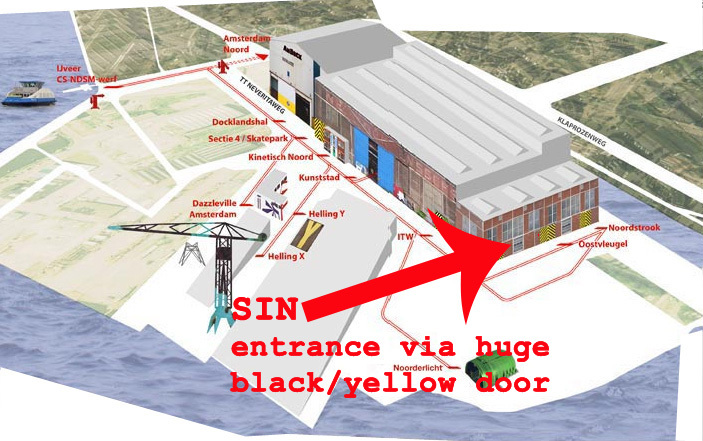 Let’s go to SIN@NDSM! SIN is to be found at TT Neveritaweg 19A-14. Our arrows will guide you there. And nice to know: Europe’s biggest fleamartket is right around the corner and it’s open all day on may 11th.